Avery Lawson-Stopps attorneys - D. Christopher Dawson, Esq. Though born and raised in New Jersey, Christopher moved to Maine from Portland, Oregon. His wife grew up in mid-coast Maine and she and her family are enjoying showing Christopher and their two small boys all the reasons to love Maine. Before becoming an attorney Christopher’s work experiences were quite varied. He’s worked as an organic farmer, a writer/editor for a weekly newspaper; a curator of a colonial history museum, and as a carpenter and house painter. He taught job skills to gang-affected teenagers in Portland, Oregon. He even spent a year testing software for Intel. As an attorney, he relies upon his varied work and life experiences to better understand his clients and to bring a unique perspective to his practice of the law. Christopher is a member of the Maine Bar Association, the Legal Services Food Hub, the Maine Association of Criminal Defense Lawyers and the Oregon Bar Association. 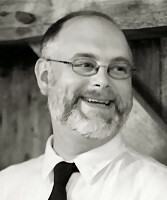 He serves as a member of the Topsham Finance Committee.